With more than 12 hours of video footage, this updated series follows nursing students and their instructors as they perform a range of essential nursing procedures. The Third Edition includes brand new footage to reflect current best practices and to address changes in procedures and equipment, in addition to two new skills. From reinforcing nursing skills to troubleshooting clinical problems on the fly, this dynamic video series shows nursing students and their instructors engaged in realistic nurse-patient and student-instructor interactions. 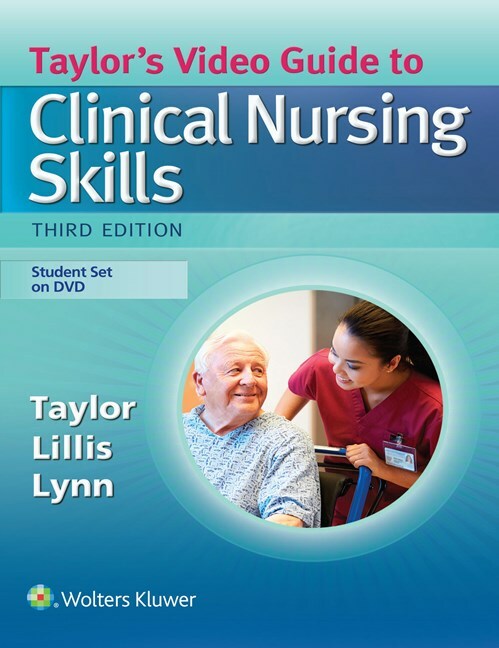 Ideal as a stand-alone learning tool or as a companion to textbooks in the Taylor suite, these engaging videos parallel the skills in the textbooks and are organized in topical modules for easy reference. Donated to the Library by Dean of School of Nursing, Jewel Diller. Previous PostDonate your old cell phoneNext PostNew Digital Collaboration Room!